What’s Happening Around Ann Arbor this Holiday Season? The countdown has begun! If you are looking for a few local events to get you into the spirit of the season, look no further. Here are some upcoming holiday happenings in our area. What: A holiday concert for the whole family, featuring the Ann Arbor Symphony Orchestra, as well as the Boychoir of Ann Arbor, Ann Arbor Youth Chorale, Skyline High School Choruses, Greenhills Choir, and Measure for Measure men’s chorus. Nick’s Gotham City shares its space with the Cavern Club and the Millenium Bar. 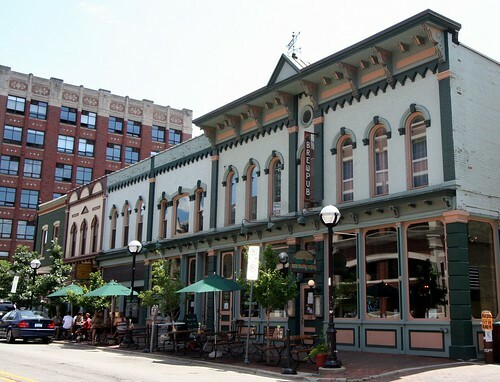 Its a great Ann Arbor hot spot for nightlife and music. They’re located at 210 S First St. in downtown Ann Arbor. The scene provides video screens, a DJ, and free pool. The Raven’s Club in downtown Ann Arbor is located at 207 S Main St. They are great for dinner and drinks and also offer upcoming drink classes to make classic cocktails w/ Tammy Coxson. Go to tammytastings.com to purchase tickets for the class. A new watering hole on the corner of State and Packard! A great location for a quick stop after the hockey game! Go Blue! Click here for more information. Arbor Brewing Company Pub and Eatery has become one of Ann Arbor’s favorite watering holes and restaurants since opening in 1995. As the name indicates, Arbor Brewing Company brews its own beer (at an off-site location) and offers 8-12 beers on tap with seasonal and year round selections. They also distribute their beers around the state and offer take-out from the pub. The food menu is in the process of changing to greener and healthier with more natural, organic, and locally grown products.